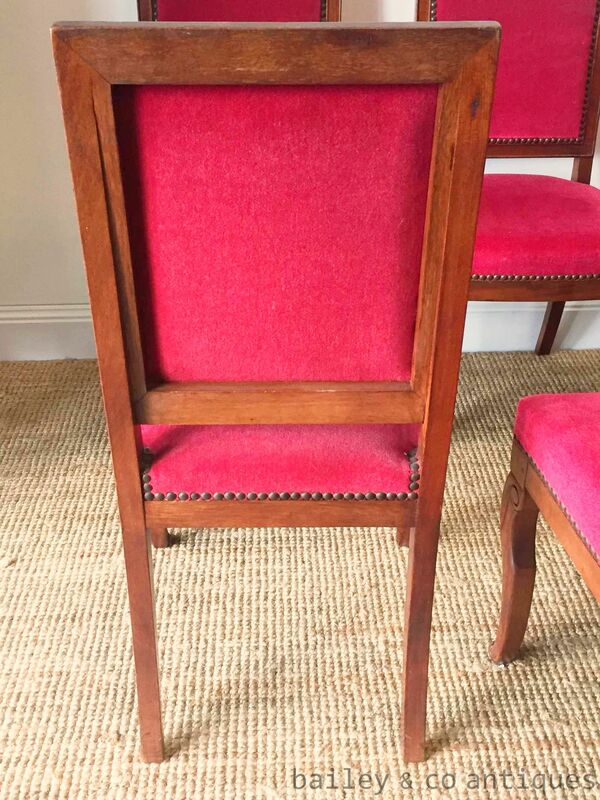 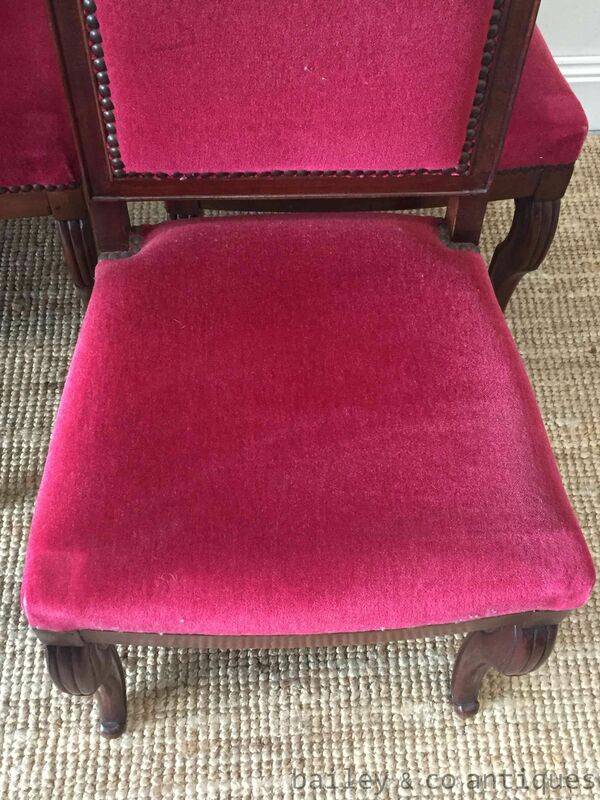 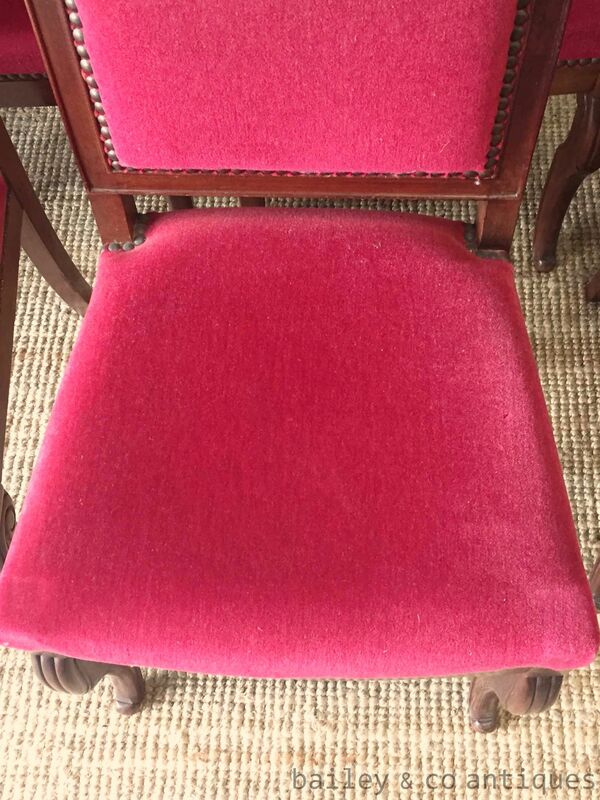 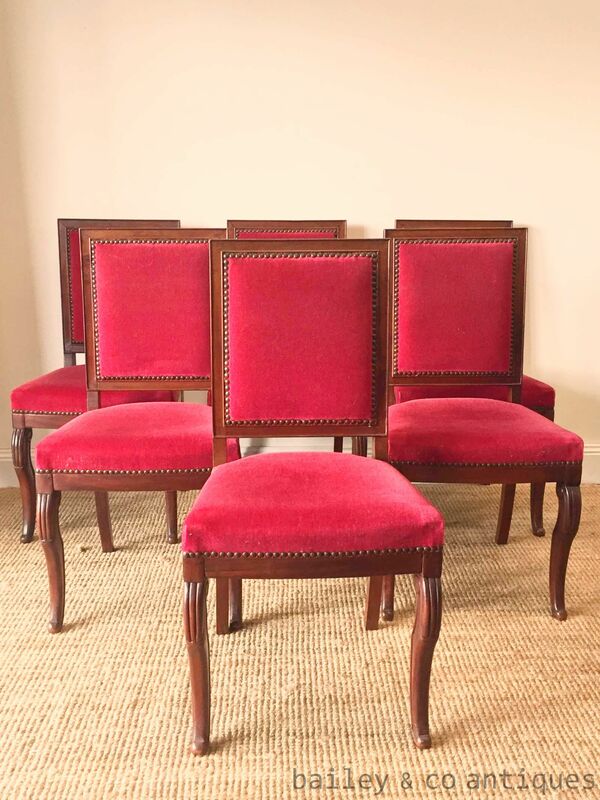 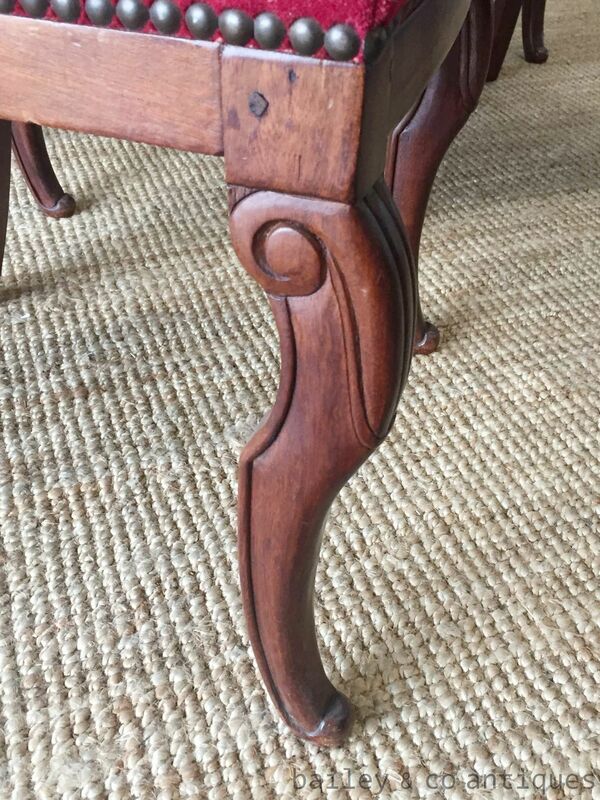 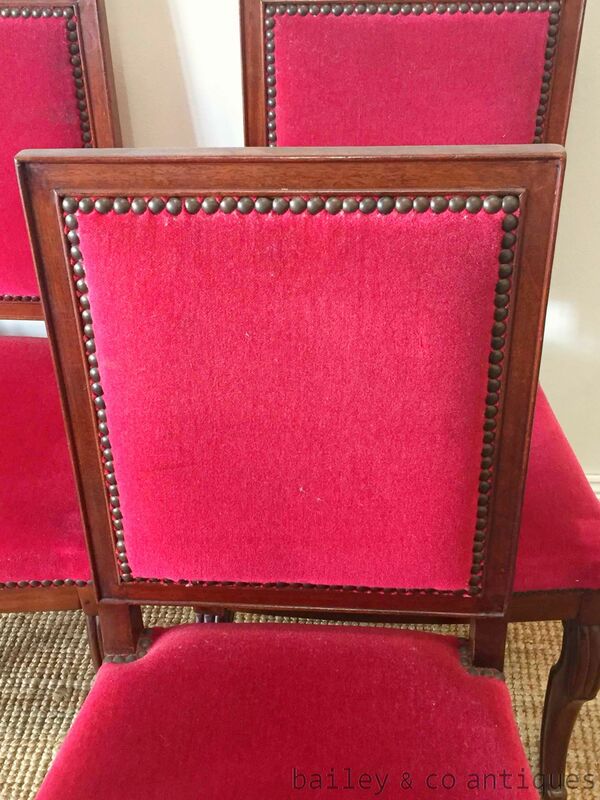 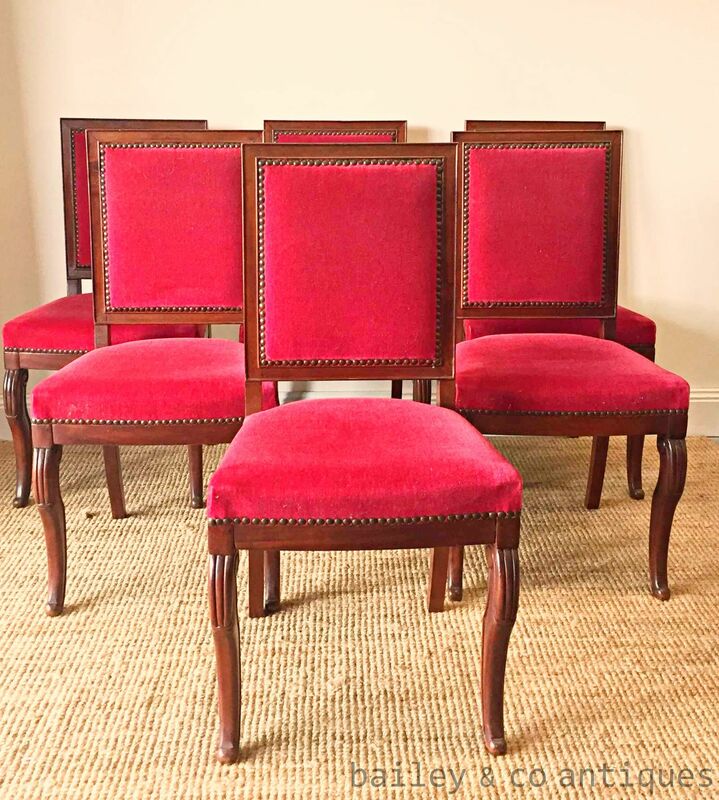 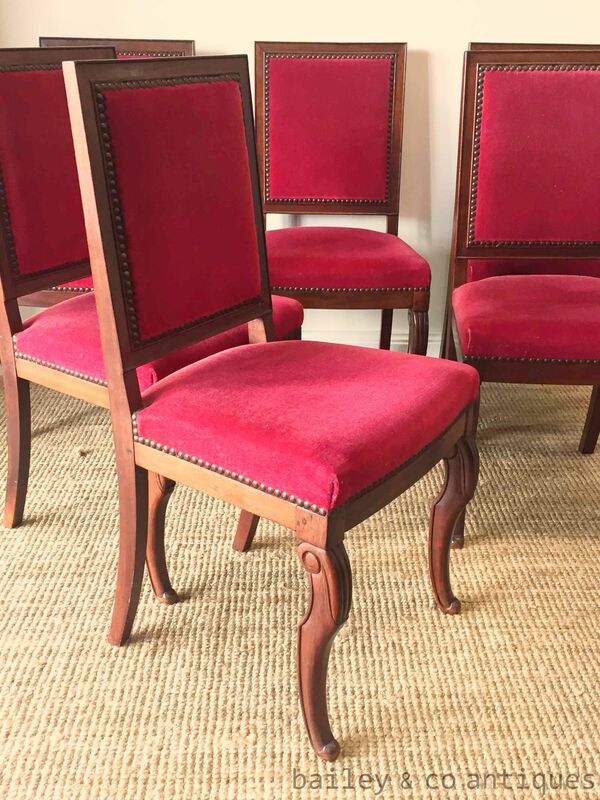 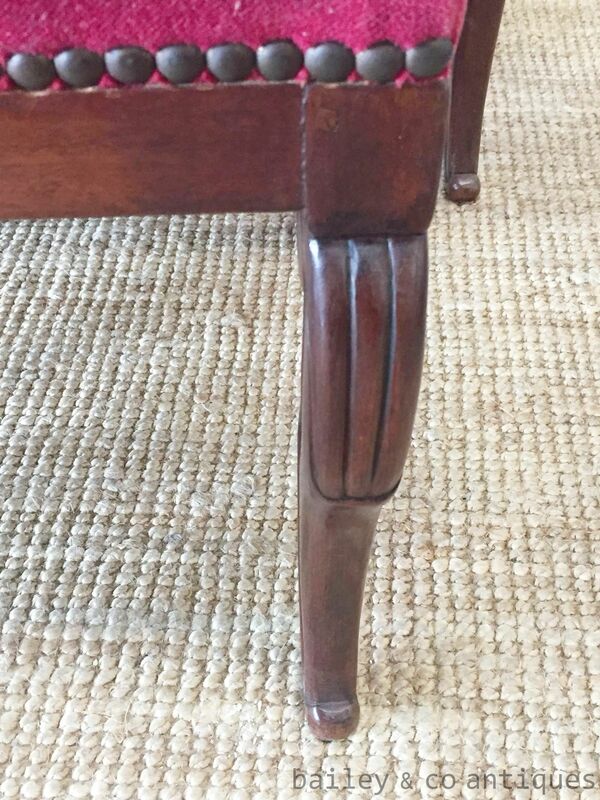 On offer is a superb set of six French vintage mahogany restoration styled dining chairs. 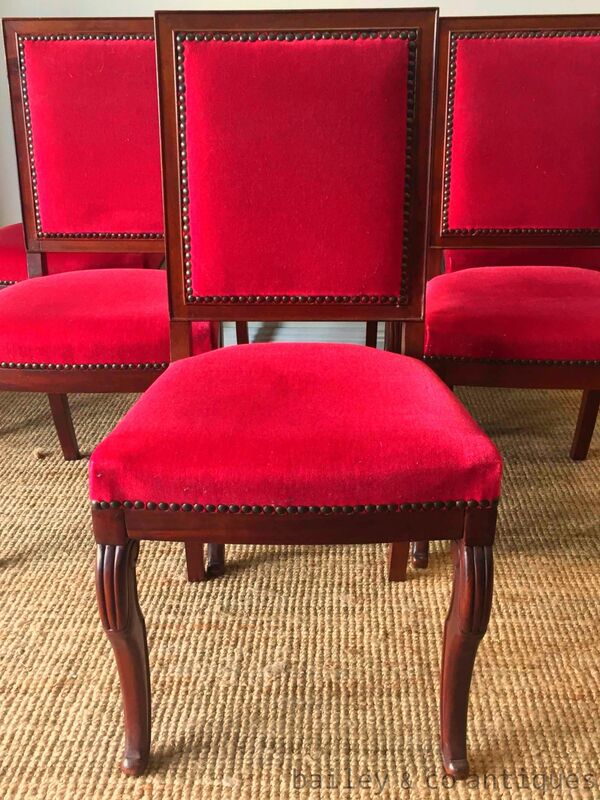 The photos should show these chairs well but please feel free to ask questions. 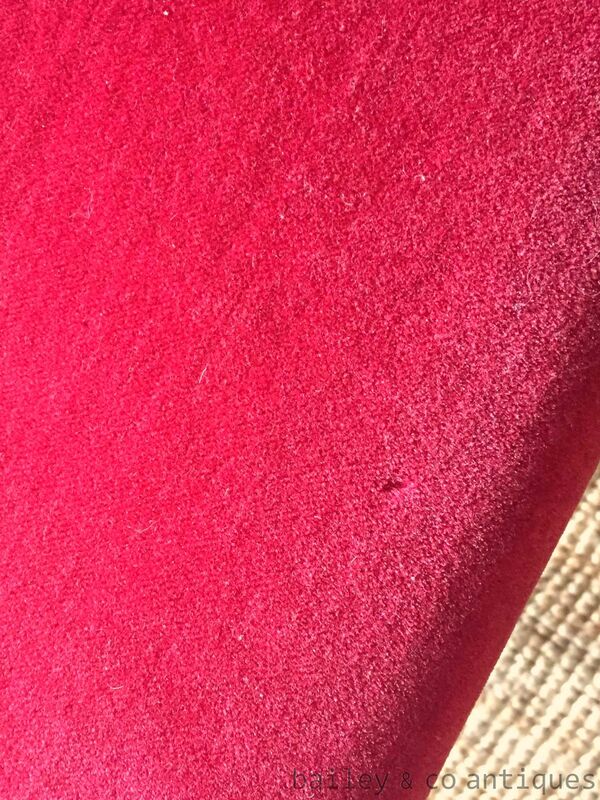 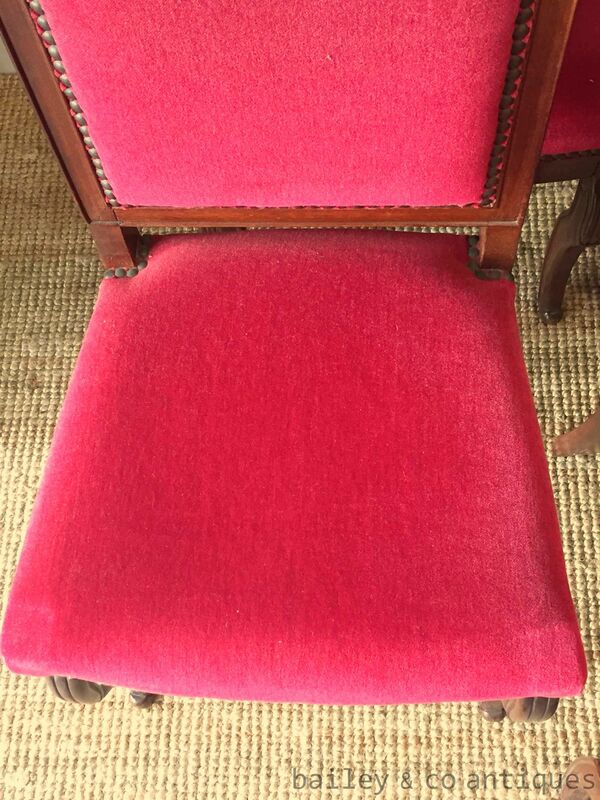 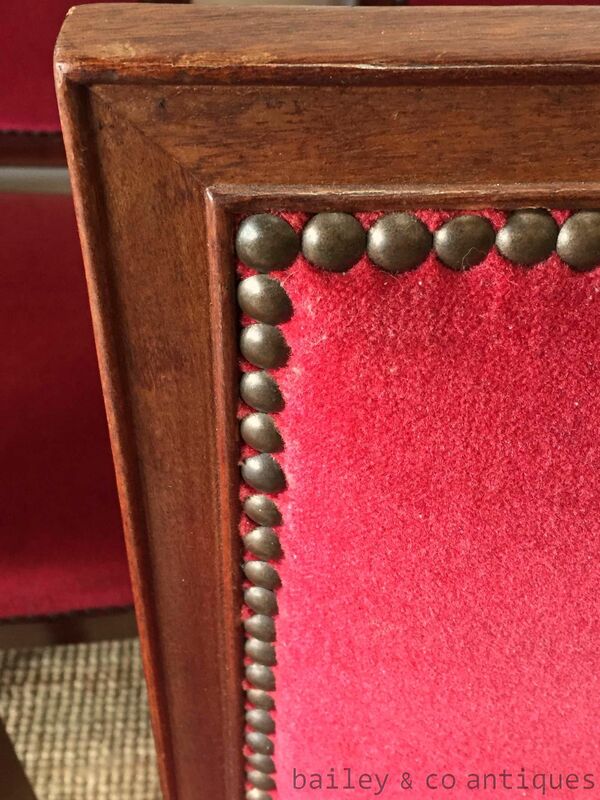 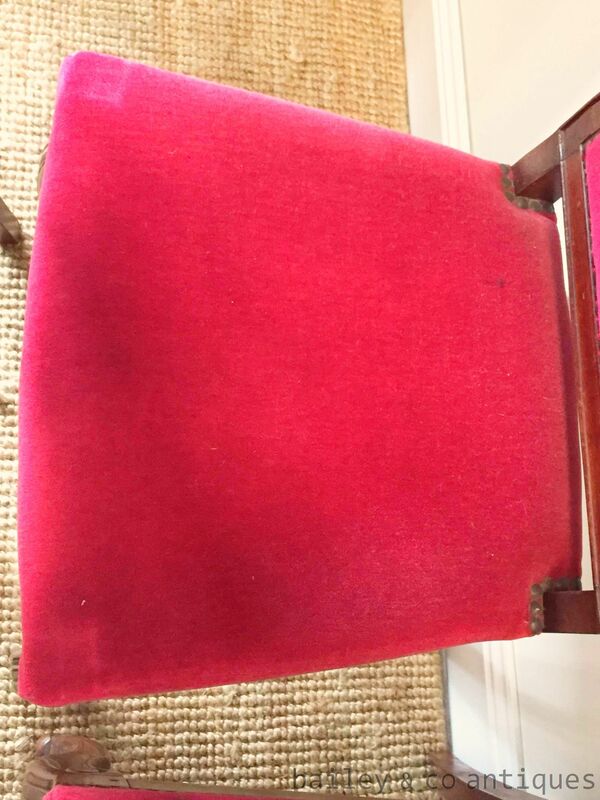 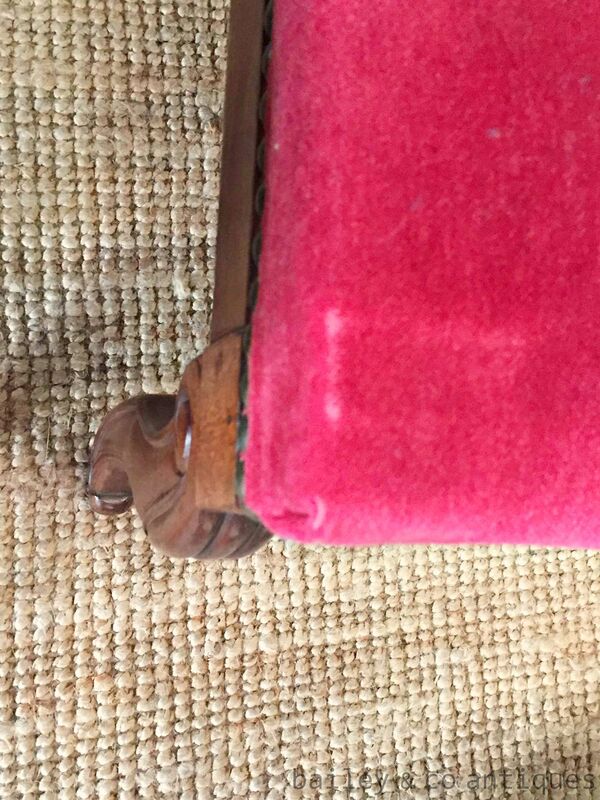 As shown there is some wear on the corners of the upholstery on the seats and a couple of small moth holes.